One Christmas gift is complete! I finished the scarf, using Misti Alpaca Lace Weight yarn, a short while ago. It took some thinking, but I’ve come up with Gift #2. 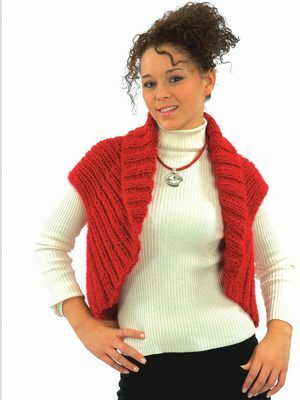 I’m working on a Vest pattern from Diamond Luxury Collection leaflet 1188. It’s an easy pattern, worked in two types of rib and then sewn together on 8mm needles. Instead of the yarn called for, I am using Patons Shetland Chunky in Oxford Grey. Since I am only a couple of inches along on the Vest I am knitting, I will refrain from posting a pic. But one will follow shortly! Especially if Barb at Never Enough Wool is right when she said it would take me only 8 hours to complete! Entry filed under: craft, crochet, knit. Tags: knitted vest, Never Enough Wool, Patons, Shetland Chunky.